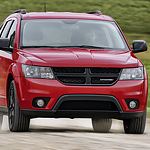 Have you seen the latest midsize SUV from Dodge? 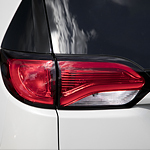 The 2019 Dodge Journey is all new with a remodeled design and new space inside. There are three rows of seating which include the LATCH child seat system, as well as Uconnect infotainment system and other premium options. There is a long list of standard features included with the Journey as well, including a 4.3-inch touch screen, six-speaker sound system, Bluetooth, USB port, proximity keyless entry, and push-button start. 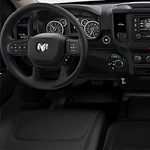 Robert Green Chrysler Dodge Jeep Ram can show you the different features that will help you maintain control of the vehicle in difficult driving conditions. 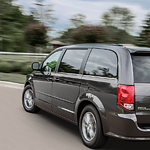 The Dodge Grand Caravan comes with all-speed traction control that will make adjustments to maximize your traction on the road. 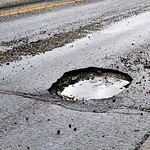 Roads in Monticello can be tough on your vehicle, but you can keep yourself financially protected from any damage that they may dish out. Protection plans from Mopar last anywhere from two to seven years, and your vehicle may be eligible for protection if it is less than 10 years old. The Chrysler Pacifica is a popular minivan that offers tons of room for your passengers and cargo. The comfortable seats and luxurious interior make it a joy to ride in during long commutes. It is also a joy to drive the Pacifica thanks to some great performance features. The RAM 2500 has added exterior features that make it even tougher on the outside. Fans already know that the RAM 2500 is a heavy-duty pickup that can get the job done. Let’s see what they have added to make it even better. Have you seen the latest 2019 Jeep Cherokee? The interiors are impressive with sporty style and soft-touch textures. There are also a few new technology features, and in the basic package, you'll get a ton of standard options that make it feel like a luxury SUV as well. US News & World Report rates the Jeep Cherokee as one of the top compact SUVs currently on the market. Which Dodge Durango Saves the Most Fuel? When drivers ask to take a closer look at an SUV at Robert Green Chrysler Dodge Jeep Ram, they inevitably ask whether they're good on gas mileage. No SUV will ever get stellar fuel economy. However, each version of the new 2019 Dodge Durango has its own way of saving fuel that makes it at least a little easier on the budget. Standard Durango models come with a 3.6-liter Pentastar V6. While these engines can still tow up to 6,200 lbs., they're small enough to still get 26 mpg on the highway. 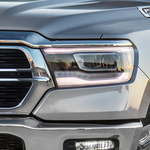 Known for decades under the Dodge marque and now a stand-alone brand, Ram is a popular manufacturer of quality pickup trucks. 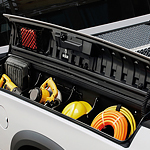 Its 1500 is a light-duty truck that gives drivers all the utility of the larger models with a compact size that makes maneuvering through traffic and parking far easier tasks. With a powerful engine and plenty of safety features, the Ram 1500 is ready for anything. 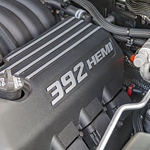 One of the most popular full-size luxury sedans on the market today is the Chrysler 300. Its exterior features have drawn car buyers to buy the car year after year which is why our team of experts here at Robert Green Chrysler Dodge Jeep Ram located right in Monticello are so excited about the brand new 2018 model. This car comes in 9 different colors including Ocean Blue and Velvet Red. 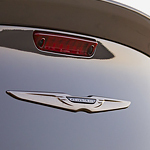 Additionally, this car comes equipped with 9 different wheel designs to choose from.